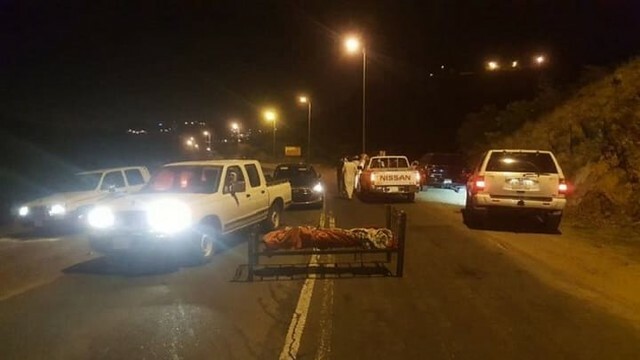 He was an illegal resident: Saudis were left in a state of shock when the presence of a dead body in the middle of the highway in Abha city was reported. At 10:30 pm on Thursday, police reported that a dead body was found wrapped in a blanket shackled to the bed. It was placed on the Wadi al-Talee road which is 11 kilometers from the city of Abha in Asir province. 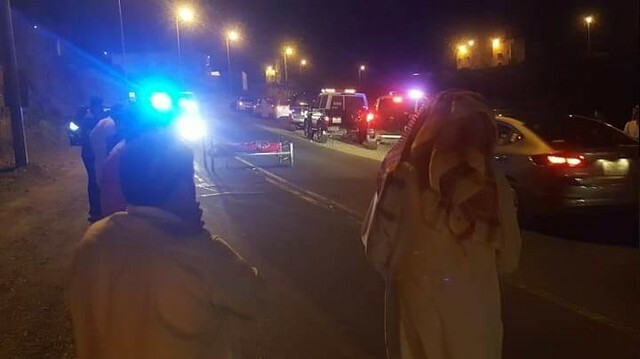 In the official statement, Zaid bin Mohammad Al Dabash the spokesperson of Asir government police stated that the person had illegally crossed the countries border. He was shot with a machine gun: The medical examination of the body was conducted and the facts reported are that the victim was in his 30s and he died because of several gunshots. Al Dabash also added that the case has now been forwarded to the criminal investigation unit so that the person responsible for this murder can be caught and prosecuted. The incident was fully covered in the Saudi Twitter sending shockwaves in the people. All the videos and the images, in which the dead body on the bed can be clearly seen, went viral on Twitter as soon as they were uploaded. Hundreds of Twitter users have expressed their feelings on the horrifying incident. People in the region are terrified? There were lots of people who were terrified by the incident stating that they believe that there is no strength or power other than Allah but it gave them goosebumps. Few said that they could not sleep since they have heard the news. People are also seeking Allah’s mercy. This kind of crime is unusual in Saudi Arabia so it’s trending on Twitter and people are really thinking and questioning, what kind of criminal mind is behind this incident. Saudi Arabia since long has been fighting against the issue of illegal expats through many initiatives. A national without violators: In 2017 they launched a campaign named “A Nation without Violators”, with the objective of providing the chance to people who are involved in residency and labor law violations, to leave the country without paying any penalties. In March 2017 Saudi Arabia's former Interior Minister Mohammad Bin Nayef announced a grace period of three months to the expats under this scheme. During these three months, the undocumented expatriates had the chance to either regularize them or leave the country. As a result of the campaign over 600,000 expats left Saudi Arabia during that period. SR 50,000 Reward: A reward of 50,000 Riyal ($13,332) has been announced for the one who reports an Illegal Expat to the concerned authorities. A warning was also issued to the people who would host or help any illegal expats that any such action will result in the fine of 100,000 Riyal ($ 26,700) and an imprisonment of up to two years.